In 2008/09, the U.S. Army Corps of Engineers constructed three river training dikes north of Hoppie’s Marina. These dikes were installed to help keep the channel to the south clear and easier to navigate. According to the Corps, this has worked. However, Hoppie’s Marina has lost almost half of its depth at the docks. Although the marina is still in full operation, according to Fern Hopkins, if nothing is done, we will have much bigger problems. concern to the City of Kimmswick Government and businesses in the city and surrounding area. The goal of the City of Kimmswick is to keep the marina open. The marina provides a port of call for tour boats from Saint Louis to bring people to the City of Kimmswick for day trips. These visitors eat in local restaurants and shop in the business district. The marina provides a launch facility for recreational boaters to enter the Mississippi River. These visitors eat in local restaurants and shop in the business district and also buy fuel for their boats at the marina. The marina is also a fueling point and stopping place for boaters traveling the Great Loop. These travelers have considerable disposable income and spend above average amounts in local restaurants, shops, service facilities, and local food markets and other provision suppliers. The marina also places a significant role in the transportation corridor by providing a transfer point for river boat workers that live in the local area. These workers are transported to and from the marina to river boats moving up and down the river. This process helps to maintain a smooth flow of river traffic and reduces energy consumption. 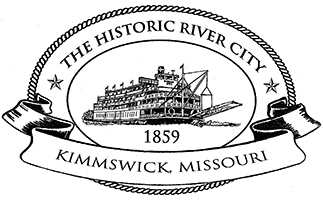 The City of Kimmswick was founded as a river town in 1859 and the movement of people to and from the city via the Mississippi is a long-standing cultural aspect of the community. The movement of people to and from the City of Kimmswick also provides cultural exchange which influences those who live and work in the city as well as those who visit the city from around the world. River access has made the City of Kimmswick a significant national and international travel destination for boaters. Hoppie’s Marina is internationally known as a trusted port for service and the City of Kimmswick is known and loved as a favorite stopping point for travelers from around the world. The Rock Community Fire District has used Hoppie’s Marina to execute numerous rescue and response operations over a long period of time. The strategic location of the marina enables a far faster response for over thirty miles of shore line than any other location to the north or the south of the marina. Hoppie’s Marina is an integral part of the regional and national transportation infrastructure which has been designated by the Department of Homeland Security and Homeland Security legislation as critical to the economy and security of the United States. The marina enables public safety and security force response to a wide array of emergency and security situations. Hoppie’s Marina provides marine maintenance and repair services to numerous local boaters as well as those from other states and countries that are traveling on the Mississippi River. Without such services many boaters on this stretch of the river would possibly need to be towed back to Saint Louis for repair or considerably further south to be serviced.